Currently viewing the category: "Lowe’s"
Labor day sales are coming out of the woodwork at all the big box stores and home centers this weekend. 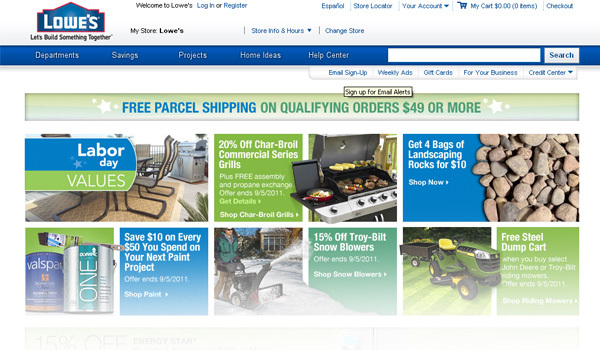 There are the traditional deals on patio equipment and lawn care gear. You know, all the stuff they need to clear the floor space for fall/winter items. Just be careful when you go hunting: There are several “gotchas” out there among the sweet sales. At some point I’m going to have to break down and build some furniture for my patio. We visited a friend’s house recently and were blown away by the awesome landscaping and fence work in his backyard, which turned it from small, crappily-fenced square (i.e. like ours) into a relaxing miniature oasis. I understand the fence construction and landscaping, and I could definitely assemble some nice mission-style furniture for the project. But here’s something I’ve always wondered: Does furniture designed to have large cushions, like that pictured above, really work outdoors? 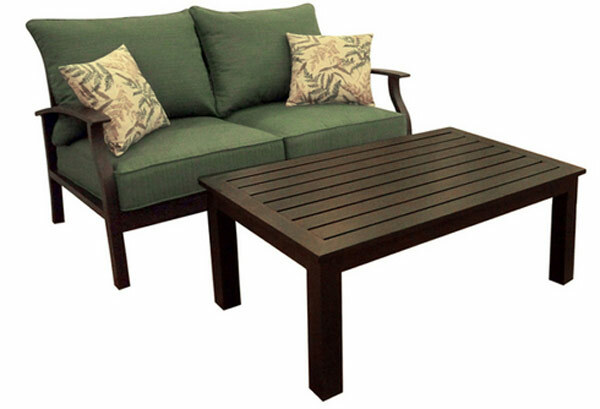 To survive the weather, the cushions must be made of durable material. For example, the ones above (for sale at Lowe’s, link below) are made polyester and acrylic. They look comfortable, but I can’t help but wonder if they’re really scratchy and rough. And do they hold up well, or do they die a quick death in bright sunlight like the webbing in old-style folding chairs? Or does it make sense to simply have indoor cushions and just store them indoors until you’re planning to go outside? (That’s probably stupid, but I’m sure I’m not the first one to think about it.) Anyway, if you have some experience with all this, I’d enjoy hearing your thoughts. Save a fellow Toolmonger some mistakes, eh? 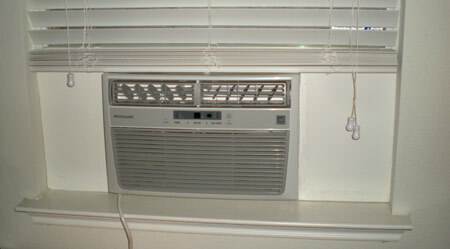 For anyone who spends a little time in Texas heat, you find quite quickly that air conditioning is a very serious topic here. So messing about with a home’s working AC equipment as I have done is, generally speaking, looked upon as crazy. There’s talk of interrupting circulation and “overworking” things, plus every other type of armchair quarterbacking imaginable. However, I did it anyway and wound up with some interesting results. My home is one story and a touch over 2,000 square feet. In the summer months it’s not difficult to keep cool, but it is expensive — almost triple what the spring/winter months cost, to be exact. So AC is the real trick. While watching the Travel Channel visit exotic places I will never go, I spied an idea. In an exclusive Italian town I saw a villa equipped with a smart AC system to cool only the bedrooms the residents were sleeping in during the night instead of the whole house. That gave me an idea. If this were a “buy this brand over that brand” sort of piece, we wouldn’t mention it here. But in this piece on their website, Lowe’s does a damn good job of laying out all the various types of hammers they sell and their applications. If you’re new to tools — or if you just want to have some fun adding more detailed comments here about their taxonomy — the hammer buying guide is worth a look. 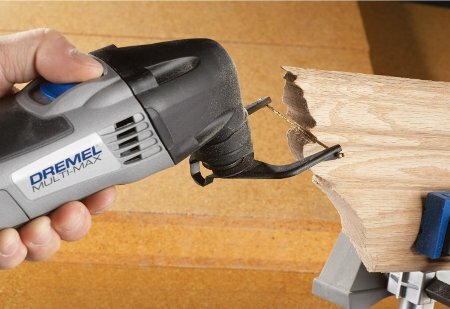 With the proliferation of oscillating multi-tools, we’ve seen an array of new accessories — but the Dremel Multi-Flex is the most curious yet. 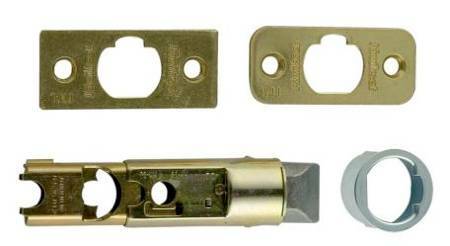 Dremel designed the the Multi-Flex bracket, or yoke, to hold a variety of blades and wires for cutting and sanding materials such as wood, metal, and plastic. The downside to this tool is the same as the old C-arm scroll saws — you don’t get a flat cut, as the yoke swings in an arc. But unlike a scroll saw, you’re holding it in your hand, so maybe you can compensate for this shortcoming. 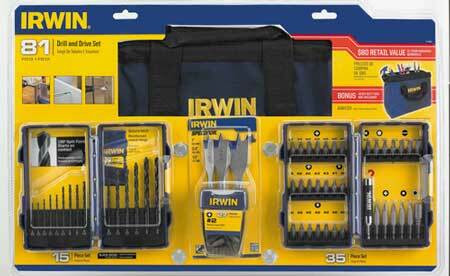 TM reader Douwe turned us on to this deal at Lowe’s: a 81-piece Irwin drill/driver bit kit with case for $15. The kit includes a combination of twist drill bits, spade bits, and a ton of screwdriver bits, and would make a nice addition to that 18V cordless you got your buddy for the holidays. Sure, you can find more complete sets, and you can probably build yourself a custom kit more perfectly aligned to your needs. But for $15 you can’t go wrong. We’re finding the same kit selling elsewhere for twice the price. For some strange reason I found myself at Lowe’s the week before the holiday bomb that goes off on the 25th, and while strolling the completely empty tool aisles I ran across a stack of 7 1/4″ Skilsaws for $30 a pop. I just had to pick one up for a nephew freshly out of the nest and in need of good tools. 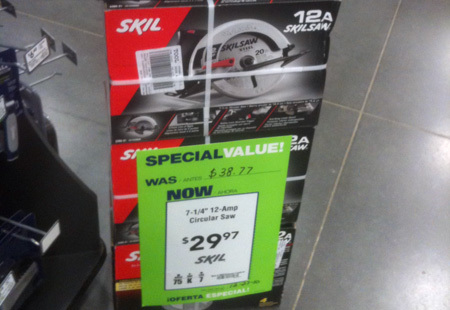 Saws like this are a great answer for friends and relatives who need functionality, and it was almost a reflex reaction, seeing the reduced price, knowing he needed real tools, and the restricted holiday budget we are all running on this year. Browsing the tool section of Lowe’s today, I noticed yet another ratcheting adjustable wrench. We’ve previously covered these type of wrenches here, here, and here, but this wrench from Stanley-Bostitch uses a completely different ratcheting mechanism than the other wrenches we’ve covered. This is by no means a review, but I do have some initial thoughts about the wrench after playing with it in the store. I tried the ratcheting action on the plastic nut Lowe’s had on the display, and to ratchet around a fastener, the adjustable jaw has a spring-loaded face that moves upward, allowing the fastener to slip in the jaws when you turn it one direction. It also stays in position when you turn the wrench in the other direction. 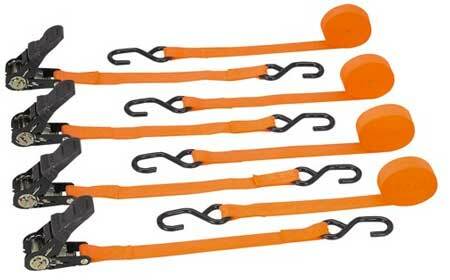 Sure, you can buy better quality ratchet straps. And if you’re tying down containers of nuclear waste before barreling full-tilt-boogie down a bumpy mountain road, I’d definitely suggest spending for the best. But let’s face it: Most of the time you’re tying down something stupid like a mattress you’re moving for a buddy, and it’s pretty likely he’ll “accidentally” end up with a couple of your straps after the experience anyway. That’s why there’s Harbor Freight. My front door has been sticking for, well, months. And I’m not talking about the door itself, but rather the interior mechanism of the door latch. It’s essentially been a grip-strength test for anyone wishing to enter or exit my house from the front ever since it got sticky. The really sad part, though, is that it took a whopping half-hour to fix, twenty minutes of which I spent running to the local big-box to grab a couple of bucks in parts. Bottom line: Don’t make the same mistake I did. Take a sec to fix it. Here’s how.